Do you own a business but are not sure what are the best options when financing vehicles for your business? Well, Aussie Car Loans is hosting the battle of the century for you – lease vs hire purchase. In a Finance Lease, the financier keeps the title and loans the asset to a borrower for an agreed term and rental amount. There is 100% funding with no equity allowed, so you don’t need a deposit. Your repayments are usually tax deductible in full. And an agreed residual value will be set out at the start of the term so if at the end, you would like to purchase the car, this can usually be arranged, however, under a lease there is no guarantee of this. So the leases are looking strong and have always been popular, let’s check out the current contender – Hire Purchases. A Hire Purchase, or Offer To Hire, is an agreement whereby during the hire period, the financier owns the asset and the hirer pays regular installments. However, there’s been an interesting development in this battle for the best option for businesses seeking vehicle finance and that is the advent of chattel mortgages which are replacing hire purchases, so let’s check out this new contender. A chattel mortgage is a loan agreement where funds are borrowed to purchase a vehicle and a charge is taken over the goods that are financed. The equipment is owned by the borrower straight away. A chattel mortgage can be 100% funded or equity such as a deposit or trade can be contributed. Balloon payments can be included. Tax deduction is generally interest on the facility and depreciation. And if your business is registered for GST, the GST on the purchase price can usually be claimed. For all the info and guidance on the best option for your business and circumstances, talk to Aussie Car Loans today. Type of vehicle Vehicle choice is up to you and your budget! The lender owns the vehicle for the term of the lease. You may have the option to purchase it at the end of the term. Vehicle choice is up to you and your budget! You own the vehicle and security over it would be removed once you have made your final repayment Vehicle choice is up to you and your budget! You own the vehicle once you have made your final repayment (including a balloon payment if applicable). Up-front costs Up-front costs usually include the first month’s rental, stamp duty and registration fees, although you can sometimes finance the on-road costs. Up-front costs usually include a deposit, stamp duty (in some states), and establishment & registration fees. Most of these government fees can be added to the loan. Up-front costs usually include a deposit, stamp duty, registration fees and your first loan repayment. Some of these fees can be added to the amount financed. Repayments Payments are calculated based on the vehicle’s cost excluding GST, the term of the lease, interest charges, duties, and other fees. GST is charged on each lease rental payment. Loan repayments can be monthly or fortnightly, and are based on the total amount of the purchase price inclusive of GST, plus interest charges, duties and other fees. GST is not payable on the loan repayments. Monthly loan payments are based on the total amount of the purchase price inclusive of GST, plus interest charges, duties and other fees. GST is not payable on the loan repayments. Balloon variances of up to 5% either way is common It is uncommon to have a balloon payment on consumer loans, however the facility is available and applications are welcome. A balloon payment will reduce your regular repayments and assist your budget requirements. But remember, what you don’t pay now, you do pay later! 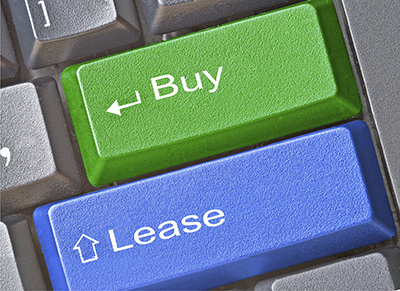 Unlike Lease, with Hire Purchase you have the option with or without a balloon. The balloon does little to your overall tax claim, and its main benefit is to suit individual budgets and affordability. Typical terms and balloons are similar to that shown in Lease column. Insurance Comprehensive insurance is compulsory and the responsibility for payment of premiums rests with you. Comprehensive insurance is compulsory and the responsibility for payment of premiums rests with you. Comprehensive insurance is compulsory and the responsibility for payment of premiums rests with you. Early termination You are responsible for any early termination charges stipulated on the lease contract. Make sure you understand them. You are responsible for paying off the loan, there could be costs associated with early repayment of the loan. You are responsible for paying off the loan, there could be costs associated with early repayment of the loan. Vehicle return With a finance lease it is accepted practice to make an offer for the vehicle at the end of the term. You keep the car! On making final payment you own the vehicle unencumbered. You keep the car! On making final payment (including a balloon payment if applicable) you own the vehicle. Future value You are responsible for any difference between the residual value and the market value with a finance lease. If you decide to sell or trade-in the vehicle at the end of the loan term, the risk of its future value is yours. If you decide to sell or trade-in the vehicle at the end of the loan term, the risk of its future value is yours. You also have the option of refinancing the balloon amount over a new term if you choose to keep the car longer. Maintenance You are responsible for the maintenance of the vehicle during the lease term. An operating lease may include a maintenance contract which would transfer this responsibility to the lessor. You are responsible for the maintenance of the vehicle. You are responsible for the maintenance of the vehicle. Kilometers during the term An operating lease may impose a limit on the number of kilometers you may travel. However, bear in mind that the higher the kilometers the higher the lease rental. There will most likely be extra charges if the actual kilometers exceed the limit set on the contract when you return the vehicle. With a Finance Lease there are no restrictions, however, high kilometers will affect the market value. No limit. The vehicle is yours. Drive it as you please. However, the higher the kilometers, the lower the resale or trade-in value of your vehicle. You are responsible for the maintenance of the vehicle. No limit. The vehicle is yours. Drive it as you please. However, the higher the kilometers, the lower the resale or trade-in value of your vehicle. End of term At the end of an operating lease you simply return the vehicle. With a Finance Lease you can return the vehicle and pay any difference between the residual value and the market price or make an offer to purchase the vehicle for the residual value. At the end of the loan term, the vehicle is yours to keep. At the end of the loan term, the vehicle is yours to keep (provided all payments have been made, including a balloon payment if applicable). Tax Benefits You claim the monthly repayments as your tax deductible expense based on the percentage of business usage, together with the ongoing running expenses of the vehicle. 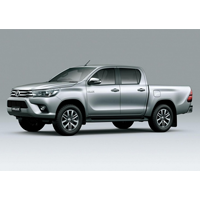 You can claim depreciation of the purchase price of the vehicle plus interest charges as your tax deductible expense based on the percentage of business usage, together with the ongoing running expenses of the vehicle. Same as Loan. Need help? Contact the finance experts at Aussie Car Loans for advice on which finance option is right for you. You can also get an approximate guide to your what your loan repayments will be using our free car loan calculator! For an accurate quote use our online loan application and we’ll get back to you with more information. Still Unsure If You Should Lease Or Hire? Our experienced brokers are happy to give you advice and help you choose the right finance option for you. Contact one of our brokers today and they’ll be in touch shortly to discuss how they can help you get into a new car sooner.